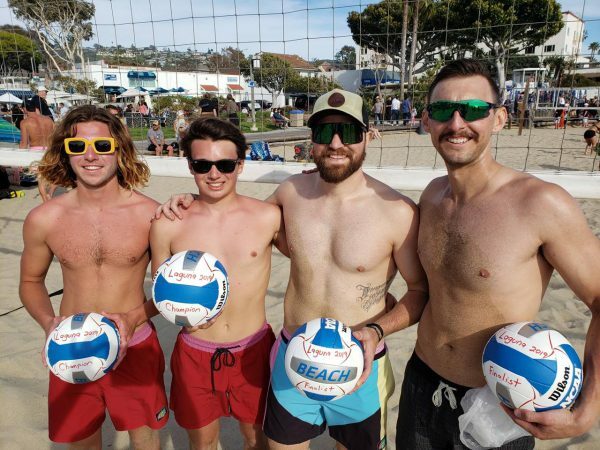 The men’s and women’s 2019 California Beach Volleyball Association “A” level tournaments were held at Main Beach April 6-7 with great weather and good-sized crowds enjoying some very competitive beach volleyball. 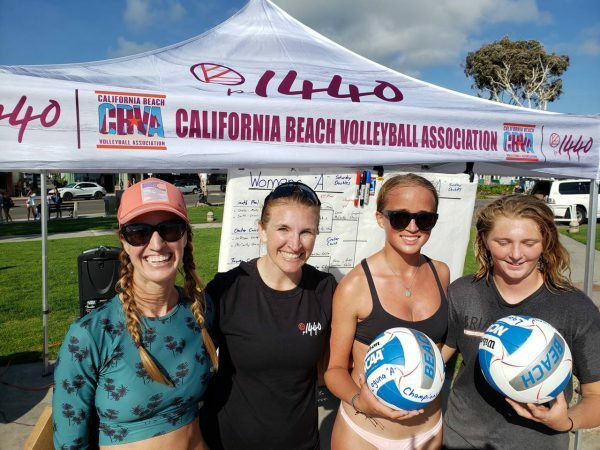 Participants compete in the 2019 California Beach Volleyball Association “A” level tournaments at Main Beach. Hometown locals ruled the beach, with Jacquelyn Strawn and Lauren McCarthy taking first in the girl’s division and earning their coveted “AA” beach rating. Laguna’s Ayrton Garcia and Joshua Meiswinkle held off Chris Trauger and Jake Jones from Simi Valley in front of a raucous local crowd to earn their first AA rating. 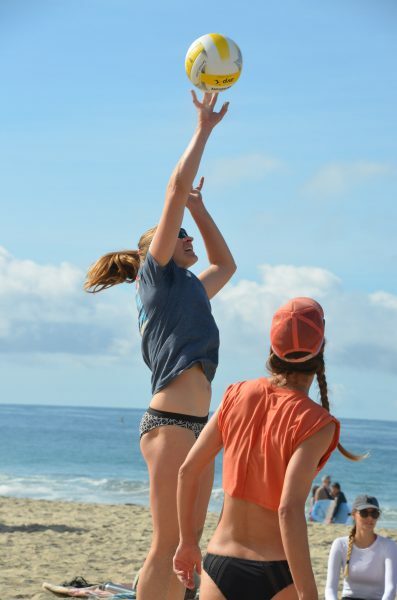 These beach tournaments are organized and sanctioned by the California Beach Volleyball Association, a grassroots nonprofit supporting the sport of beach volleyball, and the city of Laguna Beach. The men’s A division before the 2019 California Beach Volleyball Association “A” level tournaments at Main Beach. Photo by Neil Olson. 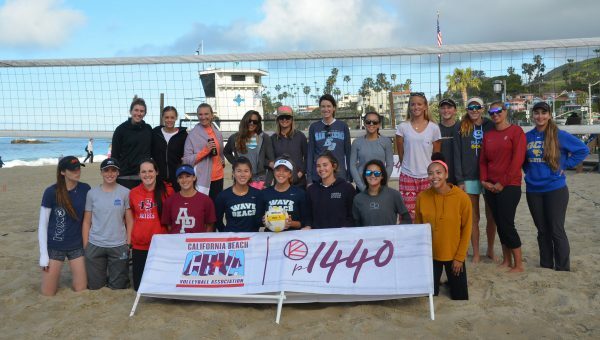 The women’s division before the 2019 California Beach Volleyball Association “A” level tournaments at Main Beach.